HIMSS on Thursday finalized the lineup of keynote speakers for HIMSS19 in Orlando next month. 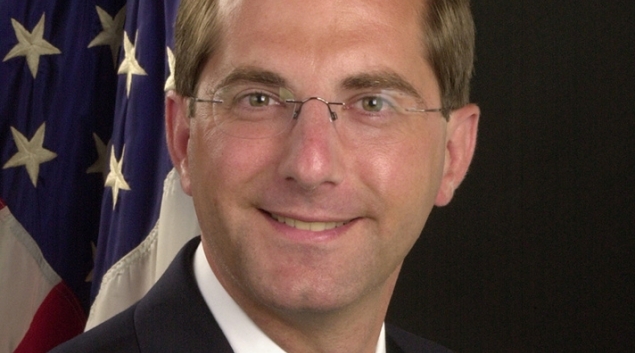 Health and Human Services Secretary Alex Azar is the latest speaker named. Azar and Centers for Medicare and Medicaid Services Administrator Seema Verma, in fact, will share their vision for interoperability and patient engagement to bring down prescription drug costs, ramp-up value-based risk-taking and throw away our fax machines. Titled "Special Views Session: Interoperability and patient engagement," is slated for Tuesday, Feb. 12, from 5:30-6:30 p.m. in room W320. Dr. Atul Gawande, CEO of the new Boston-based healthcare company formed by Amazon, Berkshire Hathaway and JPMorgan Chase, was originally slated to keynote but is no longer on the schedule. HIMSS CEO Hal Wolf will serve as moderator in the oepning keynonte, Will consumer-directed exhange disrupt the healthcare marketplace?" The panelists are: Aneesh Chopra, former U.S. CTO, co-founder of the CARIN Alliance and current President of CareJourney; Dr. Karen DeSalvo, former national coordinator for Health IT and a profesor of medicine and population health at Dell Medical School; Michael Leavitt, former Utah Governor, HHS secretary and co-founder of the CARIN Alliance; and Verma of CMS. That opening panel is scheduled for Tuesday, Feb. 12 from 8:30-10:00 a.m. in the Valencia Ballroom. On Wednesday evening, Adam Boehler, CMS deputy administrator and director of the CMS Center for Medicare and Medicaid Innovation, will speak during a special session that runs from 5:30-6:30 p.m. in room W320. Friday morning will feature a double-header with both Dr. Donald Rucker, head of the Office of National Coordinator for Health IT, and Susan DeVore, president and CEO of Premier, each taking the stage. For the closing keynote that afternoon, Not Impossible founder Mick Ebeling, named one of the most influential, creative people by The Creativity 50’s and a recipient of the Muhammad Ali Humanitarian of the Year Award, is scheduled to speak from 1:15-2:30 p.m.